A Turkish citizen is on trial for insulting President Recep Tayyip Erdogan. 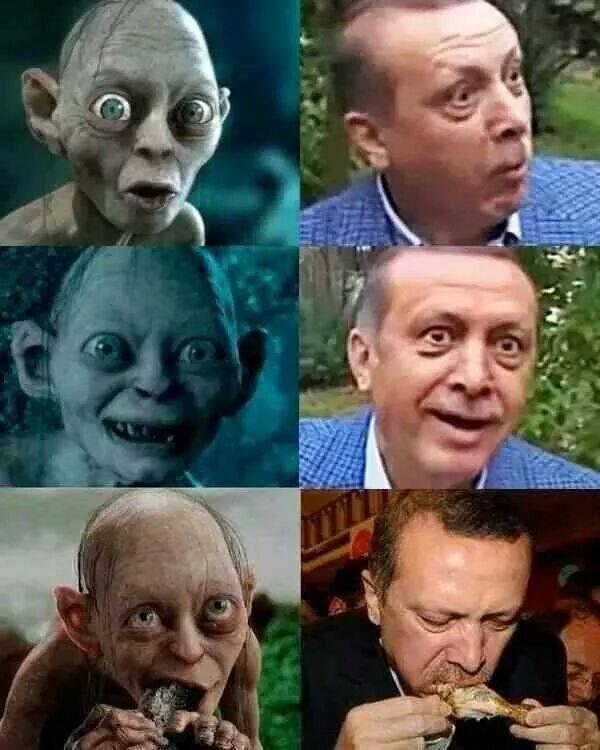 Bilgin Çiftçi, a physician and civil servant, was fired from his job after he tweeted images comparing Mr. Erdogan and Gollum. Under the Turkish penal code anybody who insults the president of the republic can face a prison term of up to four years. The sentence can be increased if committed publicly or by press or media. During Mr. Erdogan’s time in office from 2003 to 2014, 63 journalists have been sentenced to a total of 32 years in prison. The character of Gollum appears in The Hobbit and The Lord of the Rings trilogy by JRR Tolkien and the film versions directed by Peter Jackson. He was first introduced in the Hobbit as “a small, slimy creature”. In the Lord of the Rings his longing for the ring distorted his body and mind. Lest the world think the trial is a silly farce, the Turkish court has actually appointed five experts comprised of two academics, two behavioral scientists or psychologists and an expert on cinema and television productions. It has two and a half months to review to the evidence before the court reconvenes in February. That Bilgin Ciftci faces jail time for comparing Erdogan to Gollum/Smeagol, regardless of wether he’s good or bad, is horrifying. 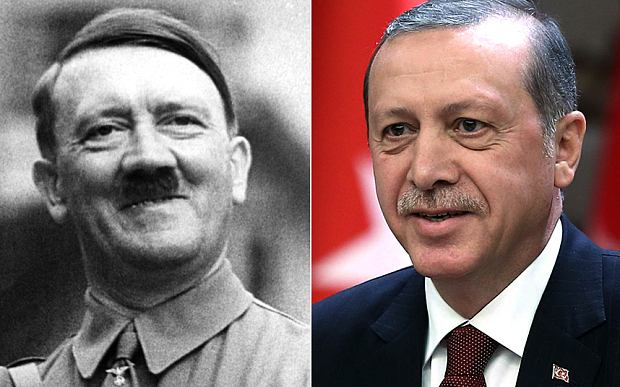 Recently, Mr. Erdogan has referred to Hitler’s Germany in a positive light. He also defended new powers he wants to give himself as being similar to Adolf Hitler’s. What do you think? Isn’t comparing yourself to Hitler much worse than being compared to Gollum? And what is the true essence of Gollum or Sméagol? Don’t stories like this remind you of just how precious and rare our freedom of speech is?